RAJOURI: Security personnel Friday arrested three persons and recovered fake currency with a face value of more than Rs 15,000 in Jammu and Kashmir’s Rajouri district, police said. 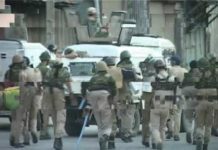 A Special Operation Group (SOG) of the Jammu and Kashmir Police along with a team of 38 Rashtriya Rifles unit set up a checkpoint at Manyal Gali area in Thanamandi on the Thanamandi-DKG road, they said. During the search, the forces intercepted a car while it was trying to flee. Fake currency notes worth Rs 15,100. Of them, 43 notes were in Rs 200 denomination and 13 in Rs 500, police said. The arrested accused were identified as Javaid Ahmed, Abdul Rashied and Bilal Ahmed Dar, all of them residents of Kulgam in south Kashmir, the SSP said. 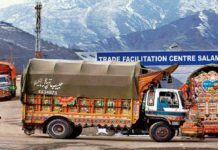 In the preliminary investigation, it was revealed that the accused have links with some drug peddlers in Rajouri and Poonch and used the fake currency to supply narcotics, the SSP said, adding that the trio is also part of a narco-terrorism racket here. A case has been registered against them in Thanamandi police station, he said, adding that more details will emerge as the probe proceeds.